This time we have papers relating to oceans: acidification, temperatures in past oceans, AMOC variability, and intermediate Atlantic water in Arctic Ocean. Other studies are about temperatures in Canada, clouds and precipitation of North America, small mammal ranges, nitrogen compounds, Arctic climate change, and there’s a separate section on other other studies. Citation: Katsumi Matsumoto, Ben McNeil, Journal of Climate 2012, doi: http://dx.doi.org/10.1175/JCLI-D-12-00290.1. Citation: Vincent, L. A., X. L. Wang, E. J. Milewska, H. Wan, F. Yang, and V. Swail (2012), A second generation of homogenized Canadian monthly surface air temperature for climate trend analysis, J. Geophys. Res., 117, D18110, doi:10.1029/2012JD017859. Citation: Jörg Mutterlose, Matthias Malkoc, Stefan Schouten, Jaap S. Sinninghe Damsté, Palaeogeography, Palaeoclimatology, Palaeoecology, http://dx.doi.org/10.1016/j.palaeo.2012.09.006. Citation: Didier Swingedouw, Juliette Mignot, Sonia Labetoulle, Eric Guilyardi and Gurvan Madec, Climate Dynamics, 2012, DOI: 10.1007/s00382-012-1516-8. Citation: Daniel L. R. Hodson, Sarah P. E. Keeley, Alex West, Jeff Ridley, Ed Hawkins and Helene T. Hewitt, Climate Dynamics, 2012, DOI: 10.1007/s00382-012-1512-z. Volume 62, December 2012, Pages 374–390, http://dx.doi.org/10.1016/j.atmosenv.2012.07.080. Citation: Benjamin John Burger, Palaeogeography, Palaeoclimatology, Palaeoecology, http://dx.doi.org/10.1016/j.palaeo.2012.09.008. Citation: Igor V. Polyakov, Andrey V. Pnyushkov, and Leonid A. Timokhov, Journal of Climate 2012, doi: http://dx.doi.org/10.1175/JCLI-D-12-00266.1. How clouds and precipitation affect North America summer temperature? 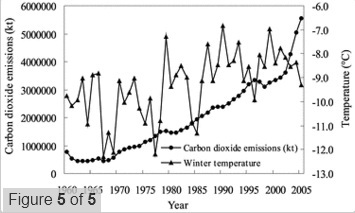 Citation: Qiuhong Tang, Guoyong Leng, Journal of Climate 2012, doi: http://dx.doi.org/10.1175/JCLI-D-12-00225.1. Abstract: No abstract. Among other things, gives historical view on solar spectrum research. Citation: Langley, S., Abbot, C., Annals of the Astrophysical Observatory of the Smithsonian Institution, vol. 1, pp.7-21. Arctic sea ice is on the news and shows up in new research papers quite often. This week’s batch has 3 papers on Arctic sea ice and a few others were also published on the subject last week. There is lot of climate research coming from China. Couple of papers here and couple of others got published last week. What else we have? Two papers on permafrost, two on growing season, and some others. Papers are presented below, check them out if you need your weekly climate science fix. How well regional climate model reproduces observed Arctic sea ice retreat? Citation: Dorn, W., Dethloff, K., and Rinke, A.: Limitations of a coupled regional climate model in the reproduction of the observed Arctic sea-ice retreat, The Cryosphere, 6, 985-998, doi:10.5194/tc-6-985-2012, 2012. Citation: Jiangjiang Xia, Zhongwei Yan and Peili Wu, Climate Dynamics, 2012, DOI: 10.1007/s00382-012-1438-5. Citation: Hezel, P. J. J., X. Zhang, C. M. M. Bitz, B. P. Kelly, and F. Massonnet (2012), Projected decline in spring snow depth on Arctic sea ice caused by progressively later autumn open ocean freeze-up this century, Geophys. Res. Lett., doi:10.1029/2012GL052794. Citation: Khalid Ibrahim El Fadli, Randall S. Cerveny, Christopher C. Burt, Philip Eden, David Parker, Manola Brunet, Thomas C. Peterson, Gianpaolo Mordacchini, Vinicio Pelino, Pierre Bessemoulin, José Luis Stella, Fatima Driouech, M.M Abdel wahab, Matthew B. Pace, Bulletin of the American Meteorological Society 2012, doi: http://dx.doi.org/10.1175/BAMS-D-12-00093.1. Citation: Shiu, C.-J., S. C. Liu, C. Fu, A. Dai, and Y. Sun (2012), How much do precipitation extremes change in a warming climate?, Geophys. Res. Lett., doi:10.1029/2012GL052762. Citation: Solomon, S., P. J. 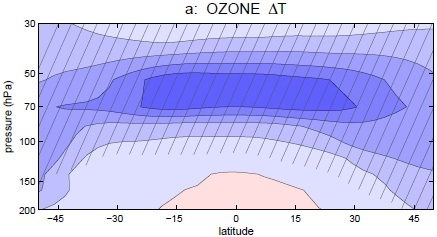 Young, and B. Hassler (2012), Uncertainties in the evolution of stratospheric ozone and implications for recent temperature changes in the tropical lower stratosphere, Geophys. Res. Lett., doi:10.1029/2012GL052723. Citation: A.P. Fedotov, M.A. Phedorin, I.V. Enushchenko, K.E. Vershinin, M.S. Melgunov, T.V. Khodzher, A reconstruction of the thawing of the permafrost during the last 170 years on the Taimyr Peninsula (East Siberia, Russia), Global and Planetary Change, DOI: 10.1016/j.gloplacha.2012.09.002. Citation: Scoccimarro, E., S. Gualdi, and A. Navarra (2012), Tropical cyclone effects on Arctic Sea ice variability, Geophys. Res. Lett., 39, L17704, doi:10.1029/2012GL052987. Citation: Dr Xuchao Yang, Zhan Tian, Baode Chen, International Journal of Climatology, DOI: 10.1002/joc.3590. Citation: Jianxin Cui and Hong Chang, Regional Environmental Change, 2012, DOI: 10.1007/s10113-012-0345-y. Citation: Andrew H. MacDougall, Christopher A. Avis & Andrew J. Weaver, Nature Geoscience, 2012, doi:10.1038/ngeo1573. Citation: M.E. Brown, K.M. de Beurs, M. Marshall, Remote Sensing of Environment, Volume 126, November 2012, Pages 174–183, http://dx.doi.org/10.1016/j.rse.2012.08.009. Citation: Cyrus F. Tolman Jr., The Journal of Geology, Vol. 7, No. 6 (Sep. – Oct., 1899) (pp. 585-618). I spent most of the last week cataloging all the surveys that didn’t send me an e-mail, but I did also have a peek on new research papers published last week. Some of them are presented below. Citation: Robert Twardosz and Urszula Kossowska-Cezak, Theoretical and Applied Climatology, 2012, DOI: 10.1007/s00704-012-0757-0. Citation: Yuanhe Yang, Jingyun Fang, Chengjun Ji, Wenhong Ma, Anwar Mohammat, Shifeng Wang, Shaopeng Wang, Arindam Datta, David Robinson, Pete Smith, Global Change Biology, DOI: 10.1111/gcb.12025. Citation: Lucas, C., H. Nguyen, and B. Timbal (2012), An observational analysis of Southern Hemisphere tropical expansion, J. Geophys. Res., 117, D17112, doi:10.1029/2011JD017033. Citation: Liisa Nevalainen and Tomi P. Luoto, Journal of Paleolimnology, 2012, DOI: 10.1007/s10933-012-9640-3. How much carbon has accumulated in long-lived products such as buildings and furniture? Citation: Christian Lauk et al 2012 Environ. Res. Lett. 7 034023 doi:10.1088/1748-9326/7/3/034023. Citation: Trenberth, K. E., and J. T. Fasullo (2012), Climate extremes and climate change: The Russian heat wave and other climate extremes of 2010, J. Geophys. Res., 117, D17103, doi:10.1029/2012JD018020. 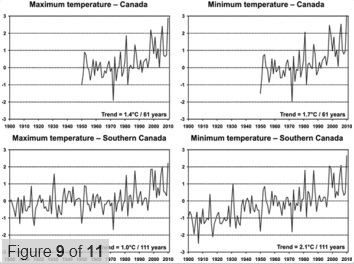 Citation: Berkelhammer, M. and L. D. Stott (2012), Secular temperature trends for the southern Rocky Mountains over the last five centuries, Geophys. Res. Lett., 39, L17701, doi:10.1029/2012GL052447. Citation: Silke Lischka, Ulf Riebesell, Global Change Biology, DOI: 10.1111/gcb.12020. Citation: Polvani, L. M., and S. Solomon (2012), The signature of ozone depletion on tropical temperature trends, as revealed by their seasonal cycle in model integrations with single forcings, J. Geophys. Res., 117, D17102, doi:10.1029/2012JD017719. Citation: Antonello Pasini et al 2012 Environ. Res. Lett. 7 034020, doi:10.1088/1748-9326/7/3/034020. Citation: M.C. Leal-Silv, V.M. Velasco Herrera, Journal of Atmospheric and Solar-Terrestrial Physics, http://dx.doi.org/10.1016/j.jastp.2012.08.010. Citation: Sean M. P. Cahoon, Patrick F. Sullivan, Gaius R. Shaver, Jeffrey M. Welker, Eric Post, Ecology Letters, DOI: 10.1111/j.1461-0248.2012.01865.x. Citation: Daux, V., Garcia de Cortazar-Atauri, I., Yiou, P., Chuine, I., Garnier, E., Le Roy Ladurie, E., Mestre, O., and Tardaguila, J.: An open-access database of grape harvest dates for climate research: data description and quality assessment, Clim. Past, 8, 1403-1418, doi:10.5194/cp-8-1403-2012, 2012. Citation: James Clark Ross, Philosophical Transactions of the Royal Society of London, Vol. 144, (1854) (pp. 285-296). Cities are doing experiments and citizens are experiencing it. They deflate Polar cell and see what happens to Siperian High. Then they think about what to do next. Someone says, “I know, let’s inflate Hadley cell”. Everyone thinks it’s a good idea, and so they do it. They watch grassland grow and wonder what happens in Amazon area. They are bored with lab rats so they pour acid to oceans and watch what happens to corals. They change climate and see if spring damage increases enough to have an effect on woody plants. They use heaters on sea surface and watch ocean circulation to stop. They manipulate clouds with their aerosols. Citation: Vanesa Castán Broto, Harriet Bulkeley, Global Environmental Change, http://dx.doi.org/10.1016/j.gloenvcha.2012.07.005. Citation: Shilong Piao, Kun Tan, Huijuan Nan, Philippe Ciais, Jingyun Fang, Tao Wang, Nicolas Vuichard, Biao Zhue, Global and Planetary Change, http://dx.doi.org/10.1016/j.gloplacha.2012.08.009. Citation: Kenneth J. Feeley, Evan M. Rehm, Global Change Biology, DOI: 10.1111/gcb.12012. Citation: Hudson, R. D.: Measurements of the movement of the jet streams at mid-latitudes, in the Northern and Southern Hemispheres, 1979 to 2010, Atmos. Chem. Phys., 12, 7797-7808, doi:10.5194/acp-12-7797-2012, 2012. Citation: N.S. Webster, S. Uthicke, E. Botté, F. Flores, A.P. Negri, Global Change Biology, DOI: 10.1111/gcb.12008. Citation: Karen Akerlof, Edward W. Maibach, Dennis Fitzgerald, Andrew Y. Cedeno, Amanda Neuman, Global Environmental Change, http://dx.doi.org/10.1016/j.gloenvcha.2012.07.006. 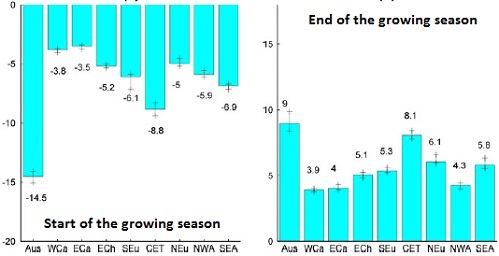 Citation: Scholz, D., Frisia, S., Borsato, A., Spötl, C., Fohlmeister, J., Mudelsee, M., Miorandi, R., and Mangini, A.: Holocene climate variability in north-eastern Italy: potential influence of the NAO and solar activity recorded by speleothem data, Clim. Past, 8, 1367-1383, doi:10.5194/cp-8-1367-2012, 2012. Citation: Yang, H., and L. Wu (2012), Trends of upper-layer circulation in the South China Sea during 1959–2008, J. Geophys. Res., 117, C08037, doi:10.1029/2012JC008068. Citation: LiAugspurger, Carol K. Reconstructing patterns of temperature, phenology, and frost damage over 124 years – spring damage risk is increasing. Ecology. http://dx.doi.org/10.1890/12-0200.1. Citation: Li, B., Y. Chen, and X. Shi (2012), Why does the temperature rise faster in the arid region of northwest China?, J. Geophys. Res., 117, D16115, doi:10.1029/2012JD017953. Citation: Keunyong Song, Seong Soo Yum, Atmospheric Research, Volume 118, 15 November 2012, Pages 370–389, http://dx.doi.org/10.1016/j.atmosres.2012.07.018. Citation: T. M. Cronin, G. S. Dwyer, J. Farmer, H. A. Bauch, R. F. Spielhagen, M. Jakobsson, J. Nilsson, W. M. Briggs Jr & A. Stepanova, Nature Geoscience, 2012, doi:10.1038/ngeo1557. Abstract: No abstract. Like the name says, paper goes through Swedish meteorological research. Also climate research is included. Citation: Anders Ångström, Tellus, Volume 1, Issue 1, pages 60–64, February 1949, DOI: 10.1111/j.2153-3490.1949.tb01930.x.